The late Spring early Summer drought continues in our little corner of Norfolk. As reported last month from Stephanie’s Kitchen Garden the unseasonal abundance of sunshine and lack of water continues to keep us on our toes in the garden with a constant battle to keep plants well watered as the growing season gets into full swing. Days and days of sunshine and no rain mean our thoughts turn to irrigation, irrigation, irrigation! Those Victorian cloches on stand-by last month were not needed after all or is that famous last words!? Our Horticulturist, Martin Fiddes, is busy working with our new Kitchen Gardener/Horticultural Advisor, Lynn Burton, to set up irrigation systems throughout much of the garden. We will keep you updated with this next month. Lynn has recently joined the Harrod Horticultural team, at the busiest time of the growing season. 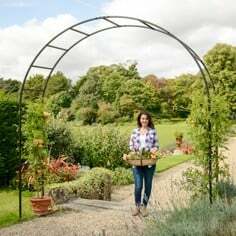 Lynn brings much enthusiasm and a passion for gardening and growing vegetables to our much loved Kitchen Garden and we look forward to showing you the results of her hard work in future updates. We have a bumper crop of Garlic putting on an impressive display – having been planted in late October these should be ready for harvest in 6 weeks or so. Garlic prefer dry conditions and don’t need very much water so they have loved our recent dry spell. If you overwater you might just get lots of green growth and poor garlic cloves. We are already growing our leeks ready to fill the bed when the garlic has departed. A quick update on our salad crops, these have all been planted up in varying sizes of raised beds. The Little Gem lettuces can be planted closer together in raised beds - we are already enjoying harvesting these fresh and crisp lettuces on a daily basis for my supper. The delicious Wild Rocket is being cut too this will grow back again the more it is cut. We will be planting more of these crops little and often to ensure a constant supply is available. In the horticultural world this is referred to as Succession Planting. 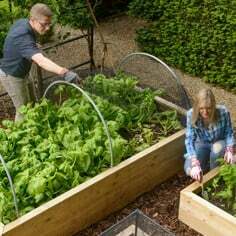 Little Gem’s & Lollo Rosso lettuces have also been planted up in a corner bed, the Little Gems on the outside and the Lollo Rosso’s in the middle - these should look fabulous with the different colour scheme going on when the bed is full of bountiful crop. It is almost a shame to spoil the effect by harvesting them. 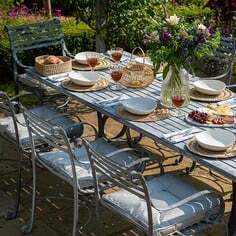 I am also going to ask Lynn to plant me up a Catch Crop of Radishes and Spring Onions to complement my salad bowl. I like the French Breakfast variety this is an elongated red-skinned radish with a white splash at the root end, it is slightly milder than other summer varieties too. 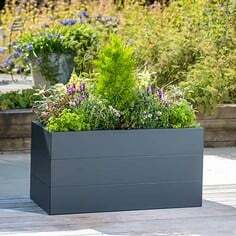 These can be planted up in the gaps whilst waiting for the slower growing vegetables to grow. We have to make the most of every available space here in the kitchen garden, we don’t want to see any bare earth with nothing growing in it do we?! Our outdoor tomatoes have been placed outside in the All in One Multi-Purpose Patio Garden in its cold frame guise to harden off for a spell before being planted out around the kitchen garden. We have many varieties this year and we are especially looking forward to the Italian varieties we are trialling this year. More updates and photos of them next month. Our Beetroot has been planted out this week in a Single Tier Standard Raised Bed, we have chosen the red leaved Rhubard Chard variety, this has been planted around the outside with a Choggia green leaved variety in the centre. Hopefully this will look impressively colour co-ordinated in a very short space of time. We will be harvesting these when they are small for best taste. Our Strawberry plants are going great guns with all this sunshine, all the plants are flowering and the majority of them have fruit growing already. The strawberries have been planted in our mini Standard Timber Raised Beds alongside our greenhouse and are covered with Hoops and a Netting Kit to prevent the birds having a feast on our delicious strawberries after all we will be looking forward to devouring these little beauties during the Wimbledon fortnight at the end of June/first week July! Our potato crop is about to have it’s final earth up although we must be careful not to make the sides too steep or the new tubers will grow through and become green. I must say the 1st earlies are looking superb - we have applied the biological Nemaslug Slug Killer to help combat this number one pest. This is a very easy and effective product to use especially with the Hosepipe Feeder slug control has never been easier. 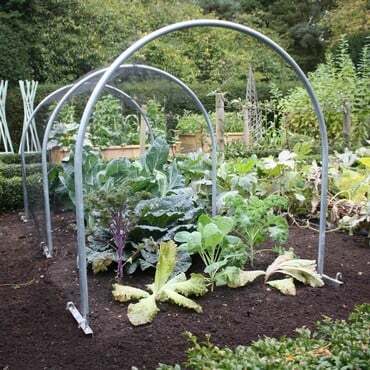 You’ll be adding living organisms to those that already exist in the soil to boost their numbers, these will seek out and kill the slugs below the ground. This will need to be applied in 6 weeks – a job I won’t forget as these little critters are the bane of my gardening life! Other slug controls are available, we use many of them around the garden including Slug and Snail Copper Tape, Slug Copper Rings, Slug Copper Bands and also the Slug Inn – our slugs are partial to a drop of beer like most of us! Slug damage is evident all around the garden and it is a 24 hour job (not literally!) to hunt these pests down. They have completely eaten all our Aubergine and Chilli plants in the greenhouse – my guess is they wouldn’t have been quite so quick to eat the hot chillies. Please remember to check your trays as we found two large snails dozing under the trays the chilli plants were in. Back to square one for Aubergines & Chillies I’m afraid to say. Our Broad Beans are doing very well too considering they went in late due to the harsh winter, the first pods are about ready for harvest which I am looking forward to immensely. We have noticed evidence of the Pea & Bean Weavil eating some of the leaves so we will continue to monitor this over the next few weeks. We will be keeping an eye out for the major pest the Black Bean Aphid over the coming weeks too. If we do see a major evidence of them we will spray with our Insect Killer Spray or our Organic Savona Fatty Acid Concentrate. 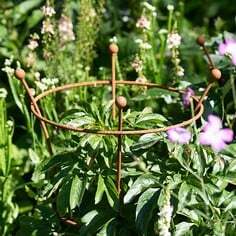 Remember that Broad Beans need to be kept well irrigated only when flowering to ensure a good crop so get watering! Whilst on the subject of bugs we have set up a Garden Chafer Trap on the lawn. If you don’t know about these little beasties, much damage is caused by the grubs laying their eggs attacking the roots of grass and turf so we are hoping that we can lure them into our pheromone trap and away from our kitchen garden. 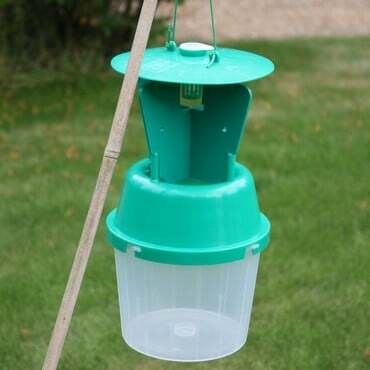 These traps can be used year after year so all you have to do is add the pheromone capsule - if you treasure your lawn and your prize vegetables I would suggest getting one of these. They love the green colour of these traps so fingers crossed. We are not taking any chances and have also set up a Codling Moth Trap to protect the apple trees and monitor the male moth activity in the area. Our box hedging (Buxus sempervirens) is desperate for it’s first trim but the job keeps getting put back in favour of getting everything planted out before everything bolts. I hope to be able to report that this job has been done by the next kitchen garden update - now where are those shears…? As you can literally see, the garden is in full swing and that's good news for the local garden pest population. Eager to get their jaws, mandibles and proboscises into the young seedlings and plants, this unwanted army will stop at practically nothing! That's where our latest version of the Little Book of Pests - now entitled the 'Little Book of Least Wanted Pests' - proves invaluable as each of the 24 pages is packed full of information about the major garden pests along with plenty of ideas of how to prevent and remove the threat to your plants each one poses. What's more, this must-have pest guide is completely free so all you have to do is decide if you want to download a copy (below) or request the book from us! If 2011 is your debut gardening season - or even if you're an old hand who knows their leeks from their legumes - a great way to start is by requesting a copy of our latest new, 116-page Late Spring Edition 2011 catalogue, jam-packed with seasonal and brand new gardening ideas for the kitchen garden, patio and greenhouse - an inspirational addition to any potting shed or coffee table. And if the above isn't enough, you can also pick up loads of handy tips by following us on Twitter and Facebook; we've got a busy gardening blog on the go and we're always here to offer advice and support too! 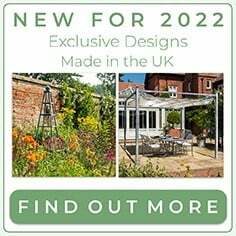 And finally to end this month’s update we look forward to seeing you all at RHS Chelsea Flower Show. We will be exhibiting for the 9th year running in our usual location of 47 Pavilion Way. During that time, our exhibition stand has steadily evolved and won numerous display awards. We will be exhibiting various products for you to see at close hand. 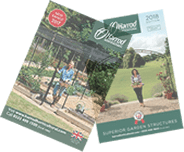 You can view a Decorative Peak Roofed Heavy Duty Steel Fruit Cage, Ladder Planters and Mangers, A-Frame Vegetable Gardens and much more, but you can also purchase gloves, Sneeboer tools, Haws watering cans, pest control products and lots of other easy-to-carry essentials, many of which have specially discounted show prices and you'll also be one of the first to see our much talked-about Garden Arch Range which we're launching at the 2011 Chelsea Show! 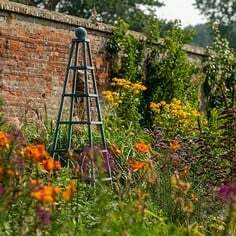 We look forward to seeing you there, in the meantime for us in the garden we must plod on with our never ending list of jobs to do this time of year in the kitchen garden.